New from CD-writer.com, a leading UK CD and DVD duplication firm is Copy 100 - a duplication and production bureau service that offers fast and reliable turnaround of high quality discs. Copy 100 represents the perfect complimentary service for customers of CD-writer’s hardware solutions. As an additional option, production work can be built into a service agreement called CopyCare, which can be bundled with hardware products bought from CD-writer.com. 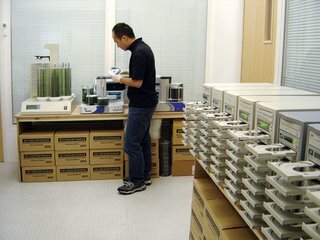 This allows customers to call on production facilities of up to 1000 discs every twelve months, making CD-writer.com an extension of its clients’ production facilities. When production companies face extremely tight deadlines they are presented with a set of challenging problems. Often, they will be using 24/7 CD duplication devices, like those sold by CD-writer.com, so attempting to get more out of the existing capacity isn’t an option. Buying more hardware isn’t always the best solution strategically, especially where peaks in production come as the result of unusual demand, rather than as part of a predictable upward curve. There might also be occasions when a company’s own equipment is undergoing maintenance but it needs to continue providing a service. Reports of such situations led CD-writer.com to introduce Copy 100, an ideal solution for these production headaches. The service includes CD and DVD duplication in any format as well as a production facility for accompanying booklets, covers and cases. “The bureau service has grown as a result of demand form our customers,” Nic Ranshaw, managing director of CD-writer.com, explained. “We come into play when a customer gets production jobs that are beyond their internal capacity. Information technology has always been about empowerment and potential, in fact that was one of Microsoft’s founding statements. Copy 100 reflects exactly that theme; it’s about giving our customers the capacity to handle their overflow but also the opportunity to be more creative and productive as businesses. The service allows existing and potential customers to understand the capabilities of the new machines they might be considering. As a result, it’s a great way for customers to get a fuller understanding of what is possible with an in-house solution. I believe that this demonstrates our confidence in our own systems,” he concluded.